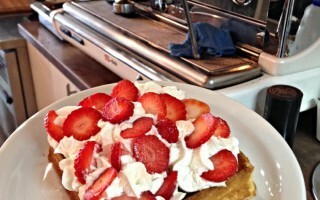 By Coffee Tree | On 25/05/2015 | in Blog with Comments Off on Waffles! By Coffee Tree | On 16/05/2015 | in Blog with Comments Off on Summer fruit cakes! Too pretty to eat, too delicious not to  Come and try our summer fruit cakes!